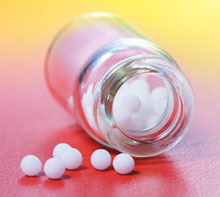 Homeopathic remedies will help a person with hypothyroid, hyperthyroid and Hashimoto's Thyroiditis. 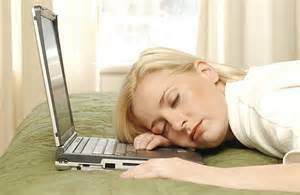 Hidden Cause of Fatigue and Hypothyroid: A Virus? Reduce your mental and emotional stressors! Improve gut health through homeopathic detoxification. Remove heavy metals from the body through homeopathic detoxification. Stop drinking all coffee, black tea and all sodas. Remove gluten from the diet and eat a healthy, whole foods diet with adequate protein. Get adequate sleep of 7 - 8 hours nightly, and be in bed by 10 pm nightly. The thyroid gland wraps around the windpipe (trachea) with a shape similar to a butterfly, formed by two wings and attached by a middle part. 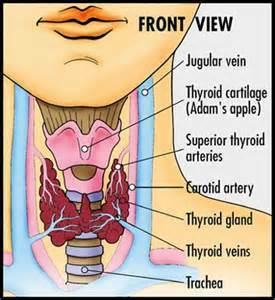 Thyroid hormones are produced by the thyroid gland which is located at the base of the neck. The Thyroid hormone is called thyroxine. A thyroid-stimulating hormone (TSH) blood test is used to check for thyroid gland problems. T3 is made up of 4 molecules of iodine, and T3 is 3 molecules of iodine. TSH is produced when the hypothalamus releases a substance called thyrotropin-releasing hormone (TRH). TRH then triggers the pituitary gland to release TSH. The thyroid gland uses iodine, which is mostly available from the diet in foods such as seafood, bread, and salt is needed to produce thyroid hormones. T3 is made up of 4 molecules of iodine, and T3 is 3 molecules of iodine. Having adequate iodine in the diet is critical for proper thyroid function. T4 become T3 and 65% is done in the liver. The other 20% of conversion is in the gut, the other 15% is in the periphery. Once released from the thyroid gland into the blood, a large amount of T4 is converted into T3 which is the active hormone that affects the metabolism of cells. T4 accounts for 99% and T3 accounts for 1% of thyroid hormones present in the blood. The thyroid hormone that is the most biological activity is T3. This entire conversion depends on adequate zinc. Low levels of selenium will also cause inactivity of T3. For T3 to be accepted in the cells, the body need calcium, magnesium and other trace minerals. In 2002, the Society of Endocrinologists announced that the standard testing ranges for TSH were inaccurate and that many people with hypothyroidism were undiagnosed. Many thyroid lab tests have still not been corrected to test for the accurate range of thyroid hormone levels. The TSH functional range (optimum) is 1.3 - 1.8 and not higher like most lab ranges currently report. Conventional medicine often only looks at TSH and may not be using the most current cut-off levels even for that. In allopathy, hypothyroidism is generally treated with synthetic T4 using Synthroid and Levothyroxine, which can correct T4 and TSH levels. But, many people cannot efficiently convert T4 to T3. This is a problem because T3 is the more active form of thyroid hormone. Even if your T4 and TSH levels are optimal, if your T3 levels are imbalanced, you may still experience symptoms. A full thyroid panel should done at the same time to measure: , Free T4, Free T3, Reverse T3, as well as for the antibodies for Hashimoto's Thyroiditis. 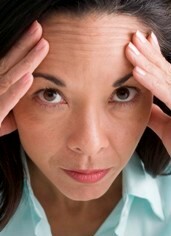 Hypothyroidism upsets the normal balance of chemical reactions in your body. This means the thyroid gland does not produce enough thyroxine (T4) and triiodothyronine (T3). Your body's energy production requires certain amounts of thyroid hormones to function, so a drop in hormone production leads to lower energy levels. Because thyroid hormone affects growth, development, and many cellular processes, inadequate thyroid hormone can have widespread consequences for the body. Other causes include growths in the thyroid gland (thyroid nodules), inflammation and the autoimmune state of the thyroid gland (called Hashimoto's thyroiditis), and/or taking too much thyroid replacement hormone to treat an underactive thyroid (hypothyroidism). An underactive thyroid gland (hypothyroidism) can cause symptoms listed above like weight gain, tiredness, dry skin, constipation, a feeling of being too cold, or frequent menstrual periods. 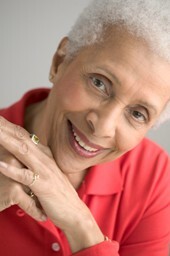 Women of all ages can suffer from hypothyroid symptoms, but women over 60 are more likely to have hypothyroidism. Hashimoto's thyroiditis: In this autoimmune disorder where the body attacks thyroid tissue. The tissue eventually dies and stops producing hormones. Exposure to excessive amounts of iodide in dyes for medical procedures: Cold and sinus medicines, the heart medicine amiodarone, or certain contrast dyes given before some X-rays may expose you to too much iodine as well as chemical dyes. Past thyroid problems: You may be at greater risk for developing hypothyroidism if you have had thyroid problems in the past. Hyperthyroidism is a condition in which an overactive thyroid gland is producing an excessive amount of thyroid hormones that circulate in the blood. Thyroid hormones stimulate the metabolism of cells. They are produced by the thyroid gland. The thyroid gland removes iodine from the blood and uses it to produce thyroid hormones. The hormone with the most biological activity is T3. Once released from the thyroid gland into the blood, a large amount of T4 is converted to T3 - which is the more active hormone that affects the metabolism of cells. An autoimmune disorder called Graves' disease is the most common cause of hyperthyroidism. Other causes include growths in the thyroid gland (thyroid nodules), inflammation of the thyroid gland (thyroiditis), and taking too much thyroid replacement hormone to treat an underactive thyroid (hypothyroidism). 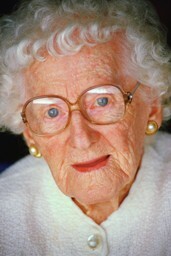 If you are older, it's easy to make the mistake of dismissing your thyroid symptoms as "normal" signs of aging. Frequent and sometimes loose bowel movements. Fine, soft hair that is falling out. Loss of weight even though you are eating normally or more than usual. Also, some women have irregular menstrual cycles or stop having periods altogether. Some men may develop enlarged breasts. Hashimoto's Thyroiditis - read more here! Blood tests are needed to look at actual thyroid function are easily available. You can order them on line for a local blood draw. Testing is done to find out whether the thyroid gland is working properly. TSH blood testing is available from thyroid panels offered on this website. Testing of TSH levels can help determine whether hypothyroidism is due to a damaged thyroid gland or some other cause, such as a problem with the pituitary gland or the hypothalamus. TSH that is elevated or above normal, is considered indicative of hypothyroidism. TSH that is “suppressed” or below normal, is considered evidence of hyperthyroidism. Functional medicine puts the OPTIMUM range at 1.5 to 1.8. Total T4 blood testing is available from thyroid panels offered on this website. This test measures the total amount of circulating thyroxine in your blood. Thyroxine, a hormone produced by the thyroid, is also known as T4. A low value can indicate hypothyroidism. Total T4 levels can be elevated due to pregnancy and other high estrogen states, including use of estrogen replacement or birth control pills. Free T4 blood testing is available from thyroid panels offered on this website. Free T4 measures the free, unbound thyroxine levels in your bloodstream. Free T4 is elevated in hyperthyroidism. Free T4 is lowered in hypothyroidism. Free or unbound T4 levels represent the level of hormone available for uptake and use by cells. Bound levels are the circulating hormone that may not all be immediately available, because it is affected by other drugs, illness, and physical changes like pregnancy. Free T4 is thought to better reflect the patient's hormonal status than total T4. Free thyroxine affects tissue function in the body, but bound thyroxine does not. Most of the thyroxine (T4) in the blood is attached to a protein called thyroxine-binding globulin. Less than 1% of the T4 is unattached. A total T4 blood test measures both bound and free thyroxine. Total T3 blood testing is available from thyroid panels offered on this website. Triiodothyronine is the active thyroid hormone, and is also known as T3. Total T3 is elevated in hyperthyroidism and low in hypothyroidism. Free T3 / Free Triiodothyronine - most clinically important lab data to have! Free T3 blood testing is available from thyroid panels offered on this website. T3 has a greater effect on the way the body uses energy than T4, even though T3 is normally present in smaller amounts than T4. Most of the T3 in the blood is attached to thyroxine-binding globulin. Less than 1% of the T3 is unattached. Free T3 measures the free, unbound levels of triiodothyronine in your bloodstream. Free T3 is considered more accurate than Total T3. Free T3 is elevated in hyperthyroidism and low in hypothyroidism. T3 Uptake blood testing is available from thyroid panels offered on this website. This test measures the amount of unsaturated binding sites on the transport (binding) hormones. Elevated T3RU is more commonly seen with hyperthyroidism. Reverse T3 - the most clinically important lab data to have!! RT3 testing is available from thyroid panels offered on this website. The reason for high RT3 is usually a low iron and/or a cortisol problem. RT3 is a metabolite of T4 (thyroxine). When T4 loses an atom of iodine -- a process known as T4 to T3 conversion -- it becomes triiodothyronine (T3), the active thyroid hormone. When the body is under stress, instead of converting T4 into T3 - the active form of thyroid hormone - the body conserves energy by making what is known as Reverse T3 (RT3), an inactive form of the T3 hormone. Elevated levels of RT3 -- even though TSH, Free T3 and Free T3 values may be within the normal reference range -- reflect a thyroid problem at the cellular level -- a condition that Kent Holtorf, MD calls "cellular hypothyroidism." In this integrative view, elevated RT3 can be triggered by ongoing chronic physical or emotional stress, adrenal fatigue, low ferritin (stored iron) levels, acute illness and injury, and chronic disease, among other factors. Reverse T3 is actually an "antithyroid" -- T3 is the active thyroid that goes to the cells and stimulates energy and metabolism. Reverse T3 is a mirror image -- it actually goes to the receptors, sticks there, and nothing happens. So it blocks the thyroid effect. 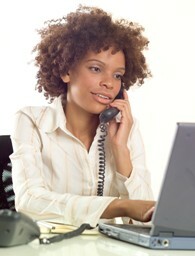 Reverse T3 is kind of a hibernation hormone, in times of stress and chronic illness, it lowers your metabolism. So many people seemingly have normal thyroid levels, but if they have high Reverse T3, they're actually suffering from hypothyroidism. Increased T4 and RT3 levels, along with decreased T3 levels, are associated with symptomatic hypothyroidism at the cellular or tissue level. People with low T3 and high reverse T3 had the lowest PPS [a score that evaluates normal activities and measures physical and mental functioning]. Subjects with high reverse T3 concentrations had worse physical performance scores and lower grip strength. These high RT3 levels were accompanied by high FT4 levels (within the normal range). These changes in thyroid hormone concentrations may be explained by a decrease in peripheral thyroid hormone metabolism. According to Kent Holtorf, MD, a Reverse T3 level above 150 -- or a Free T3/Reverse T3 ratio that exceeds .2 [when the Free T3 is measured in picograms per milliliter (pg/mL)] -- may indicate hypothyroidism. A high Reverse T3 demonstrates that there is either an inhibition of reverse T3 uptake into the cell and/or there is increased T4 to reverse T3 formation. Reverse T3 is an excellent marker for reduced cellular T4 and T3 levels not detected by TSH or serum T4 and T3 levels. High or high normal RT3 is not only an indicator of tissue hypothyroidism but also that T4 only replacement would not be considered optimal in such cases and would be expected to have inadequate or sub-optimal results. One of the key ways to address elevated RT3 and "cellular hypothyroidism" is through thyroid treatment with a medication that contains T3. One preferred form is time-released T3. Time-released T3 is a compounded form of T3 available by prescription. In some cases, this T3 is prescribed as a stand-alone thyroid treatment. In other cases, T3 is added to a synthetic T4 prescription drug (i.e., Synthroid, Unithroid, Tirosint), or a prescription natural desiccated thyroid drug (i.e., Nature-throid, Armour) is prescribed. The bulk of RT3 is made in the liver. Some people have lowered their high RT3 by using a good liver cleanse, especially those with Milk Thistle. You may have to DOUBLE the recommended amount to get the lowered RT3. Milk Thistle can supposedly lower ferritin, so patients are adding iron to their supplementation, or raising what they are already on. Also make sure your Milk Thistle comes from the seeds. Milk Thistle not from the seeds can have an estrogenic effect. Also, there is a lot of research which proves that low selenium can increase RT3, so supplementation can help. A homeopath can use homeopathic sarcodes like adrenalinum or adrenal cortex to support lowering RT3. Thyroglobulin Antibodies (TgAb) - most clinically important lab data to have! TAA blood testing is available from thyroid panels offered on this website. Testing for thyroglobulin antibodies is common. If you have already been diagnosed with Graves' disease, having high levels of thyroglobulin antibodies means that you are more likely to eventually become hypothyroid. Thyroglobulin antibodies are positive in about 60% of Hashimoto's patients and 30% of Graves' patients. Thyroid Peroxidase Antibodies (TPO) / Thyroid Stimulating Hormone Receptor Antibody (TRAb) - most clinically important lab data to have! TPO blood testing is available from thyroid panels offered on this website. Thyroid antibody testing is primarily ordered to help diagnose an autoimmune thyroid disease and to distinguish it from other forms of thyroid dysfunction. Testing should be performed on all those suspected with thyroid issues and when other thyroid test results. Testing is done to help investigate the cause of a goiter or other signs and symptoms associated with low or high thyroid hormone levels. Thyroid Peroxidase (TPO) antibodies work against thyroid peroxidase, an enzyme that plays a part in the T4-to-T3 conversion and synthesis process. TPO antibodies can be evidence of tissue destruction as in Hashimoto's disease and other forms of thyroiditis such as post-partum thyroiditis. TPO antibodies are detectable in approximately 95%of patients with Hashimoto's thyroiditis. They are detectible and 50% to 85% of Graves’ disease patients. The concentrations of antibodies found in patients with Graves' disease are usually lower than in patients with Hashimoto's disease. Monitoring of thyroglobulin levels is frequently used to evaluate the effectiveness of treatment for thyroid cancer and to monitor for thyroid cancer recurrence. TSI and TSH blood testing is available from thyroid panels offered on this website. TSH receptor antibodies (TRAb) are seen in most patients with a history of - or who currently have Graves' disease. Thyroid-stimulating immunoglobulins (TSI) can be detected in the majority - some estimates say as many as 75 to 90 percent - of Graves' disease patients. The higher the levels, the more active the Graves' disease is thought to be. (The absence of these antibodies does not, however, rule out Graves' disease.) Less commonly, some people with Hashimoto's disease also have these antibodies, and this can cause periodic short term episodes of hyperthyroidism. When monitoring TSI, elevated levels may help predict relapse of Graves' disease, and lowered TSI levels may indicate that Graves' disease treatment is working.